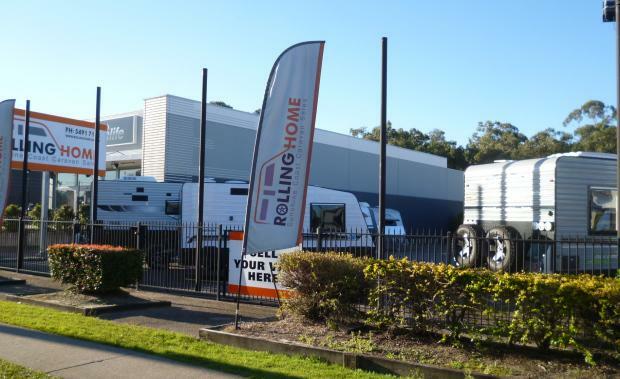 A site with redevelopment potential currently leased to a leading caravan business at Caloundra on the Sunshine Coast has been sold for $1.5 million. The property at 25 Caloundra Road, West Caloundra, was sold to a Sunshine Coast resident by Len Greedy and Alan Gray of Ray White Commercial Caloundra. Mr Greedy said the property is situated on Caloundra Rd in a precinct that includes Caloundra City Auto, BCF, Northcoast Motorsports (Yamaha), Bob Jane T Mart, Garry Crick Used Vehicles and Sunco Motors (Nissan and Hyundai). “The property was purchased by a local investor who considered the site an ideal addition to their expanding commercial property portfolio,” Mr Greedy said. The property comprises 2139 sqm of land area with a modern air conditioned sales office and expansive concrete hardstand ideal for caravan display. “The new owners were delighted to negotiate a sale at the asking price and have identified the future regarding the development potential of this high profile site, subject to approval,” Mr Gray said. Mr Gray said the property is currently leased to Rolling Home Caravans which is a family owned business and is the exclusive Queensland provider of Kokoda Caravans.